Resume, also termed as curriculum vitae, is considered as an important document that a professional must possess. However, not just professionals, students also need to create their own resumes. In order to apply for higher studies or research fellowship, you need a resume to submit to the concerned authority. You also need to have a resume to apply for a new job right after finishing your educational career. To apply for internship programs, use of Sample resumes can also be noted. Nursing students need to create their professional resume to apply for internship jobs or training under a reputed healthcare center. 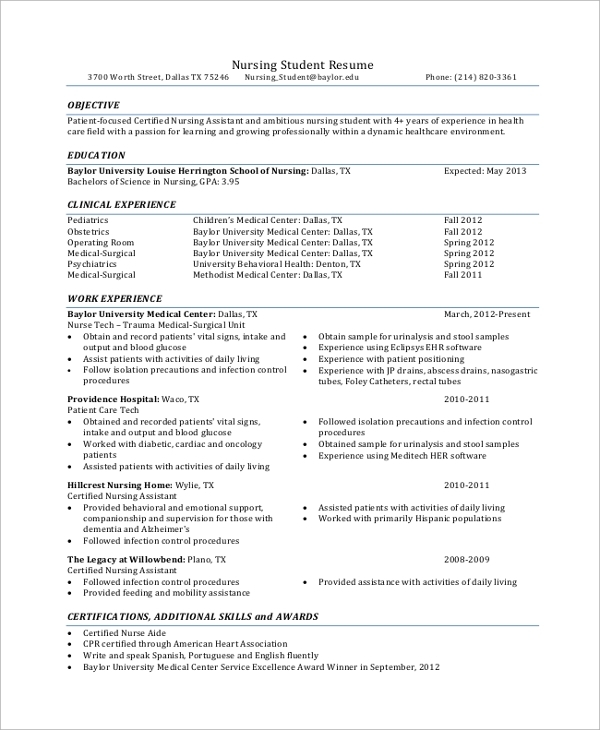 Use this sample for nursing resume to create professional and attractive cover letter. 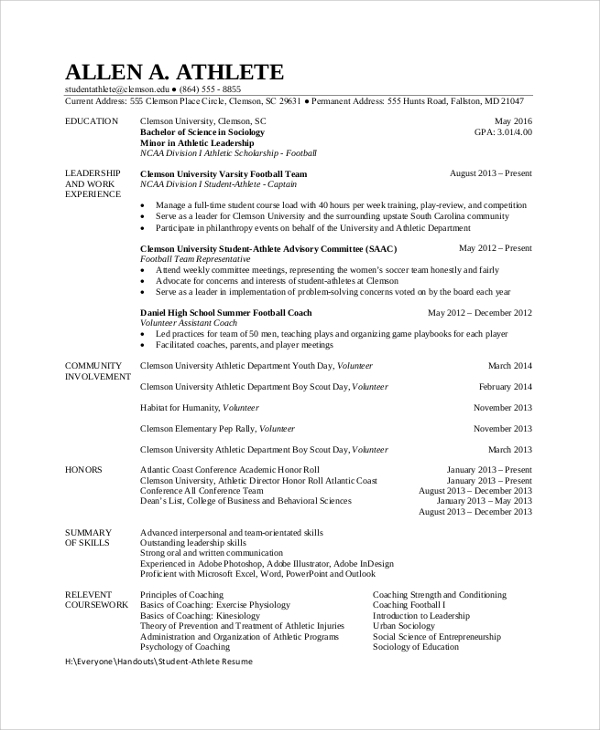 Athletes, who want to pursue a course or a job, should create their own professional resume with care as well as precision. Athletes get special benefits in some universities. They also have reservations in many jobs. 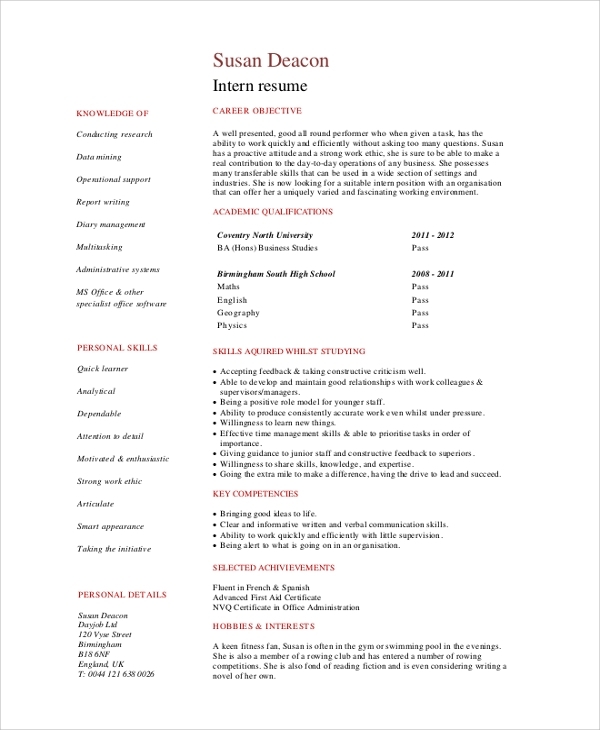 If you are seeking internship as a student to a company or university or nonprofit organization, you need a professional and well structured student internship resume. For that purpose you can use this sample. To apply for a job, no matter full time or part time, you need a good resume. 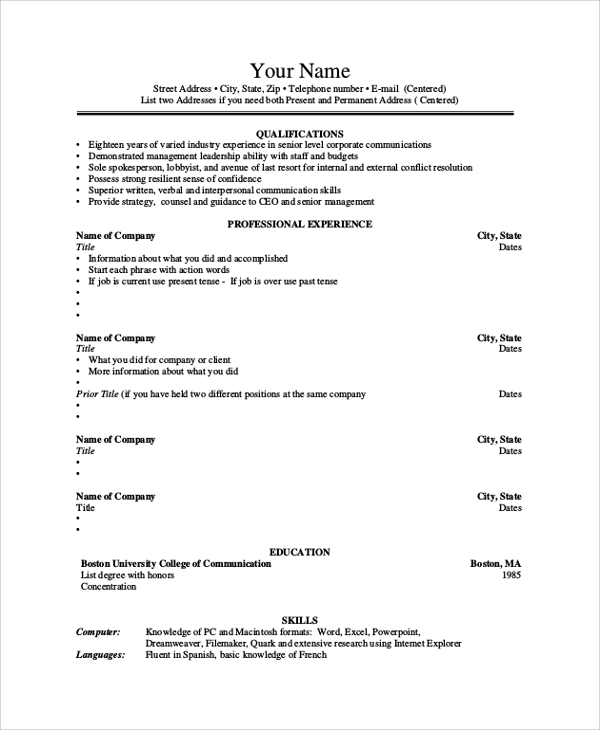 If you are an undergraduate, you can use this resume format to create a professional as well as seamless resume. What are the Uses and Purposes of Student Resume? The term resume,CV or bio-data is not unknown to us. 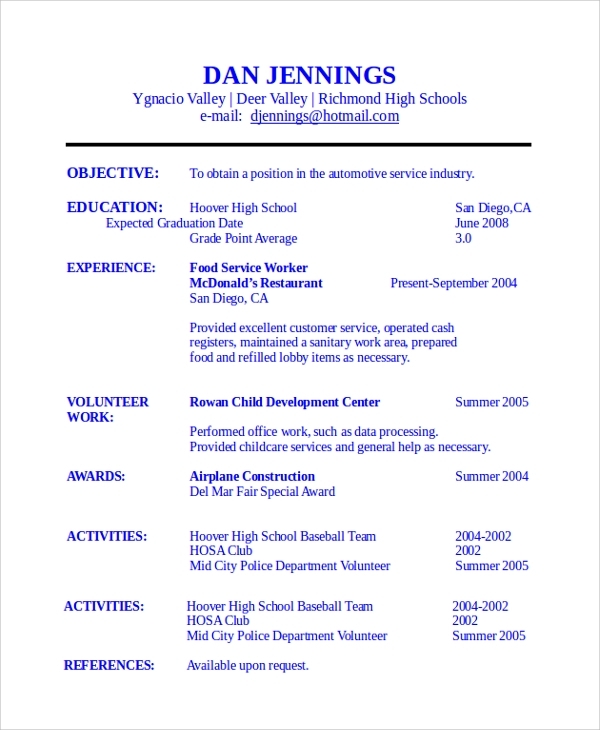 Resume has been considered as a document that can be used for applying for a job. Every professional must possess a perfectly formatted and well written resume, in order to get attention of the potential employers. 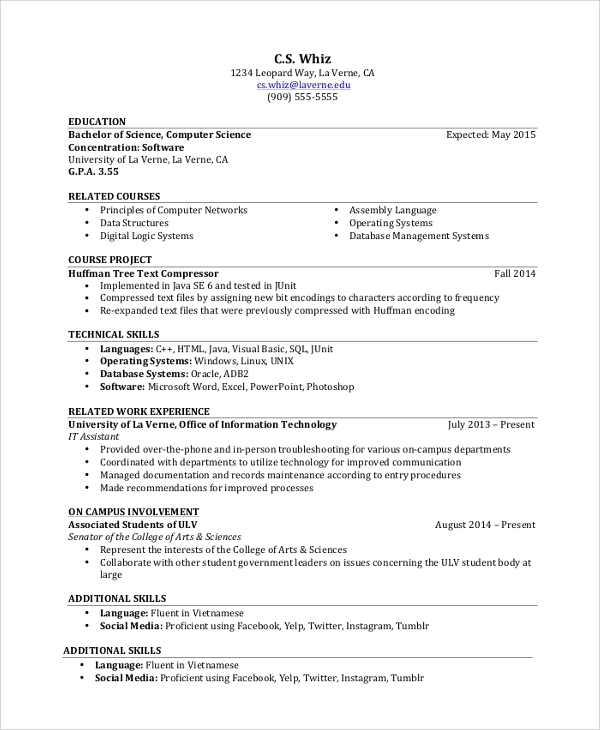 Student resume is nothing but the same. However, there are a few differences and student resumes can vary as per the usages or purposes. Many students look for higher studies, while others look jobs as interns. In such case, you need a good resume for applying for higher studies or for applying for an internship job. Why Students need to Create their Resume Without Mistakes? Writing Professional Resume is not a difficult thing though a lot of students end up in a perfectly messy situation, when they have been assigned for the job of writing a resume. Resume comes with proper format or structure, and it is important to follow the structure carefully. For example, it must have educational details and personal information respectively. Personal information should not go on top of the education details, as that makes resume less credible. 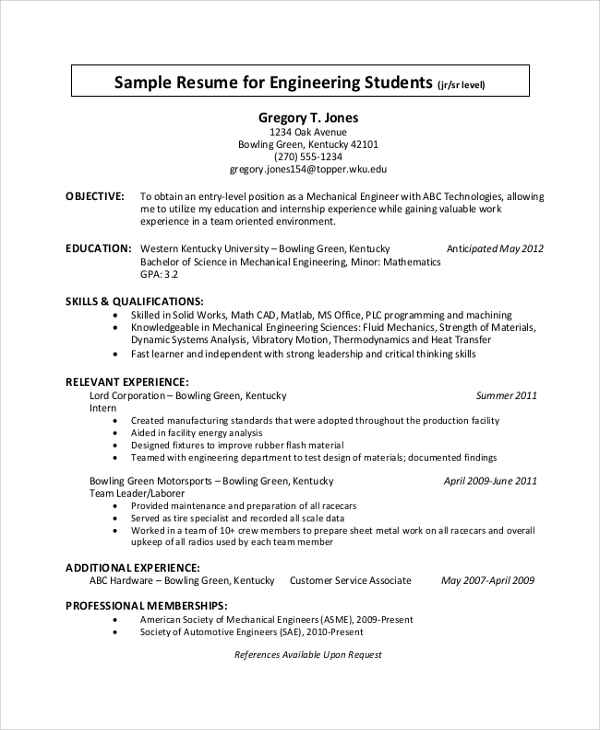 The best method for creating resumes is following online resume samples. You will get a lot of samples online. Follow them to create your own unique and accurate student resume. 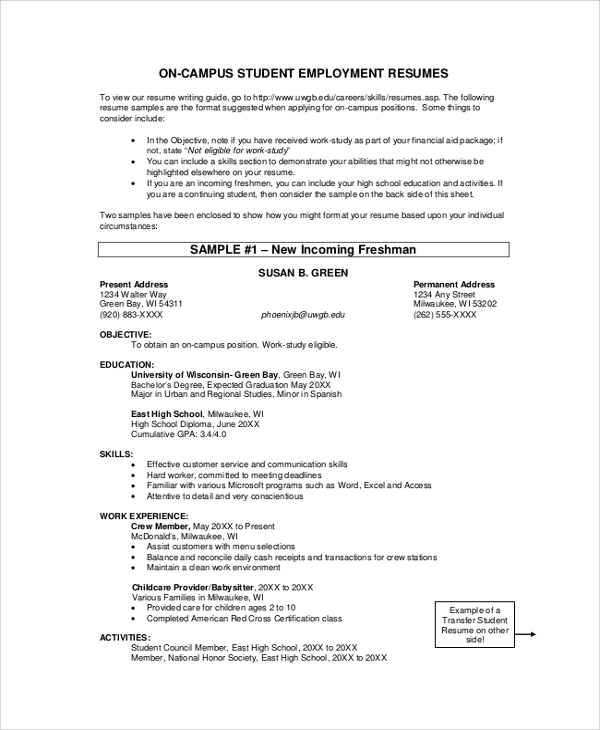 Student resume is important, and thus you should not show unnecessary rush in the process of writing your resume. It should look well crafted and professional. It should highlight your skills, academic backgrounds and your overall competence for a job or for a course through it. To create your Student Resume, you need sample of resume. It is important to create a student resume with precision, especially if you are seeking higher studies in a university, job or as an intern in a company. The best method for crafting a resume is opting for online sample. Choose a good online sample or template for resume, and follow the structure carefully to create your own resume.